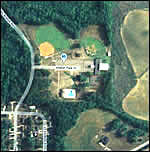 6/10 mile trail that is primarily through partially wooded, semi shaded area with some open park sections as well. As you enter Dothan from North HWY. 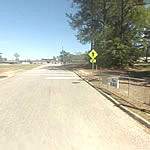 431; turn left onto Bunche St. Go 3 blocks and turn right at the 4 way stop onto Rocky Branch Road. Walton Park is on the left.